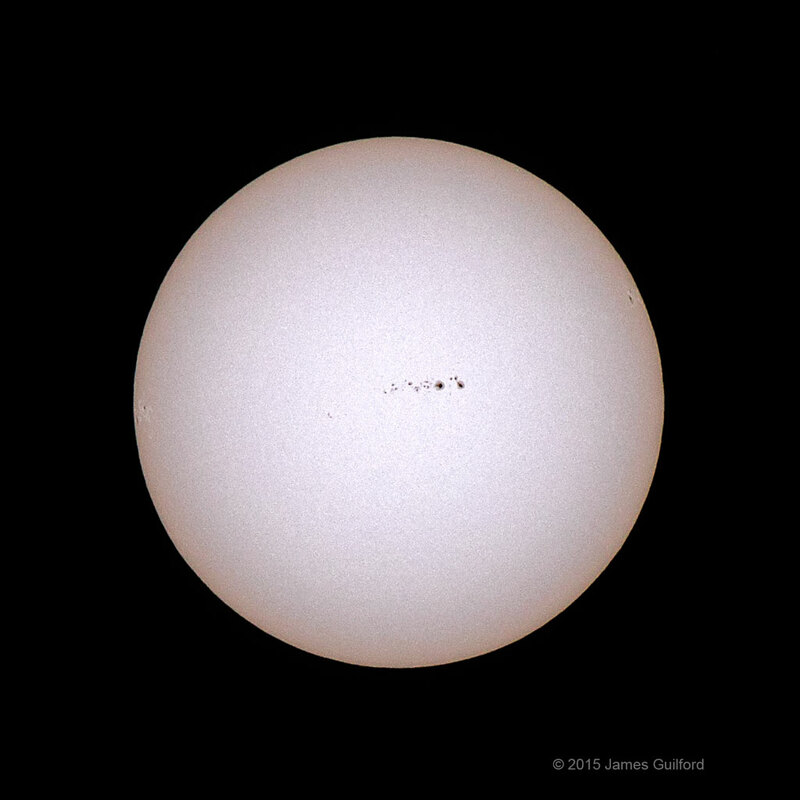 An impressive train of sunspots has been making its way across the face of our nearest star this week. In the photo above: Designated AR2447 (small group to the left), AR2443 (bigger and darker, near center), and AR2445 (far right), the “Active Regions” have the potential of unleashing flares. In fact, AR2445 was the source of a flare that caused this week’s “northern lights” sighted across northern latitude locations around the world. Now rotating over the Sun’s limb, AR2445 won’t be aimed at Earth for a while — if ever again — but AR2443 has potential for high-energy flares. Photo credit: James Guilford. Canon EOS 7D II: ISO 400, f/11, 1/1250 sec., 400mm lens with Astrozap film solar filter, heavily cropped, November 4, 2015, 2:22 PM. UPDATE: Due to cloud cover and inclement weather, this program has been canceled; the observatory WILL NOT be open. Stephens Memorial Observatory of Hiram College will be open to the public on Saturday, November 21, from 7:00 to 9:00 PM. 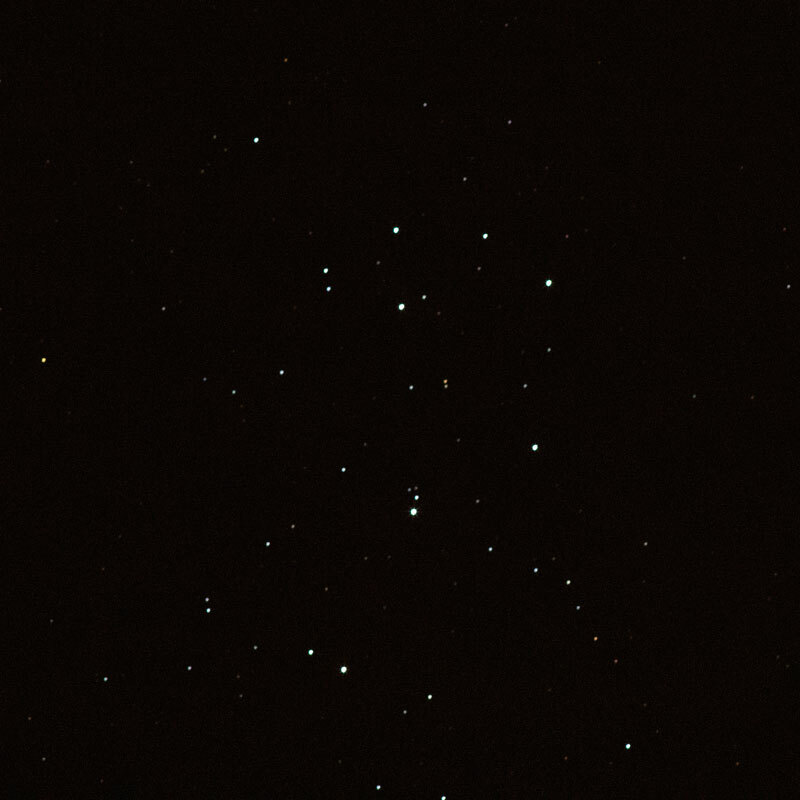 On the observing list for the night are: the Moon, the Pleiades and Hyades star clusters, and possibly other celestial objects. No reservations are required and there is no admission fee for observatory public nights. Cloudy skies at the starting time cancel the event and, in that case, the observatory will not open. For updates and more information, return here or follow “@StephensObs” on Twitter.